‘In C,’ for example, has been enormous in terms of its influences on musicians of all stripes and genres. Critic Janet Rotter called it, “the global village’s first ritual symphonic piece.” At about the same time, Riley also composed ‘Dorian Reeds,’ a work played by a solo instrument along with a pair of tape players, playback and a microphone. The composition, which has not enjoyed the same iconic visibility as ‘In C’ but certainly represents similarly significant artistic goals, is constructed on a continuously repeating continuum figure from an A-Dorian scale combined with other musical ideas in tape delay. The holistic musical effect in ‘Dorian Reeds’ grows organically, as a multifaceted composition with increasingly complex rhythmic textures layered with cellular bits of melody. In a piece that might last only a few minutes, the musical ideas risk sounding trivial or ephemeral without much impact. However, in a 42-minute composition such as ‘Dorian Reeds,’ the musical expanse begins to serve up plenty of aural wonders. ‘Dorian Reeds,’ according to Salt Lake City musician Matt Starling, works beautifully for audiences either as ambient even meditative background sound or as a platform for an intensive, focused listener to discover a deep bounty of musical rewards. 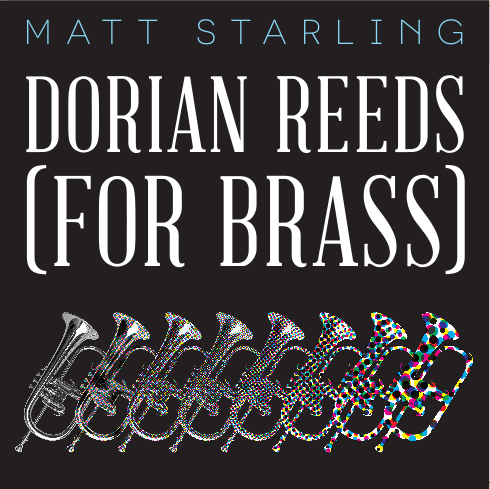 Starling is releasing a solo recording of ‘Dorian Reeds’ which started as a project for completing his master of music technology degree at Indiana University – Purdue University Indianapolis. The release entitled ‘Dorian Reeds (for Brass)’ stands out for several significant reasons. This is the first recording of the work done with an instrument other than soprano saxophone, the instrument Riley (who also was a ragtime pianist during his Berkeley school days) learned to play as he explored jazz and the works of saxophonists such as Sonny Rollins and John Coltrane. 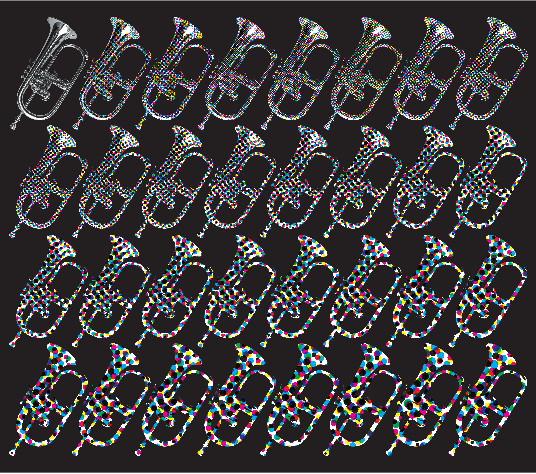 Starling, who played trombone and euphonium in school, recorded the score on a flugelhorn, the cousin of the trumpet which has a greater capability for warmer sound, especially in the lower notes of the instrument’s range. While the available technology Riley had with creating the desired sound effects of looping tape was limited at the time he wrote the music, Starling uses the latest digital technology tools to magnify and extract the maximum potential of, as he writes, “pure hypnotic minimalism, with a pulsating and constantly evolving texture.” Taking several months in the studio, Starling used high resolution digital audio (24 bits/96 khz), sophisticated computer audio editing, digital signal processing and precision mixing tools to achieve a recording that sustains the integrity of Riley’s score. In approaching Riley’s score with 21st century recording technologies, Starling certainly captures the exhaustive spirit in the process that defined the composer’s earliest experimentation with tape loops and repetition. Starling practiced extensively on the flugelhorn in advance of rehearsing Riley’s score, which comprises modules of music the performer plays against a continuously mutating tape loop. He also transposed the score down a whole step because the higher notes on the flugelhorn would have meant a brighter sound that would not have melded or evolved as effectively in achieving the captivating warm sonic textures Starling wanted to display in the piece. Starling recorded many versions of each module from Riley’s score and then selected from at least 10 percent of the individual recordings he made. He then used computer software to assemble the modules onto a sequencer timeline – in Riley’s original iteration, this was a ‘time lag accumulator’ – and then edited each repetition to calibrate the timing accurately of each note to the sequencer’s rhythmic grid. Starling wanted to replicate the dynamics of Riley’s tape loop process as closely as possible. The musical impact of Starling’s rendition is remarkable for how it redefines the typical listening experience for minimalist music. The listener is drawn into a journey that tempts with more intrigue and urgency each time the work is heard. It is as comfortable, approachable, contemplative and as rewarding as an artistic experience can be enjoyed with minimalism. The recording is highly recommended for any true audiophile’s listening catalog. 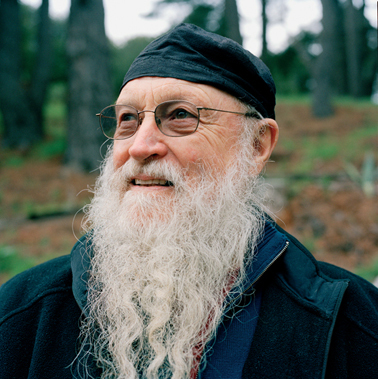 Riley, who is turning 80 this year, said in an Innerviews interview that he often would cut tape loops sometimes without even listening to the tape initially and then attach segments of tape together, echoing a process that follows the chance yet structured orientation of John Cage’s philosophy. Sometimes he would drag the tape across the tape head without using the tape motor or spindles just to test out different ways to use the tapeplayer. During the early 1960s, Riley often developed his musical ideas in live performance and then took them into studio. Among his experiments was the 1963 musical score for the film ‘The Gift’ in which he processed Chet Baker’s trumpet performance through this technique. 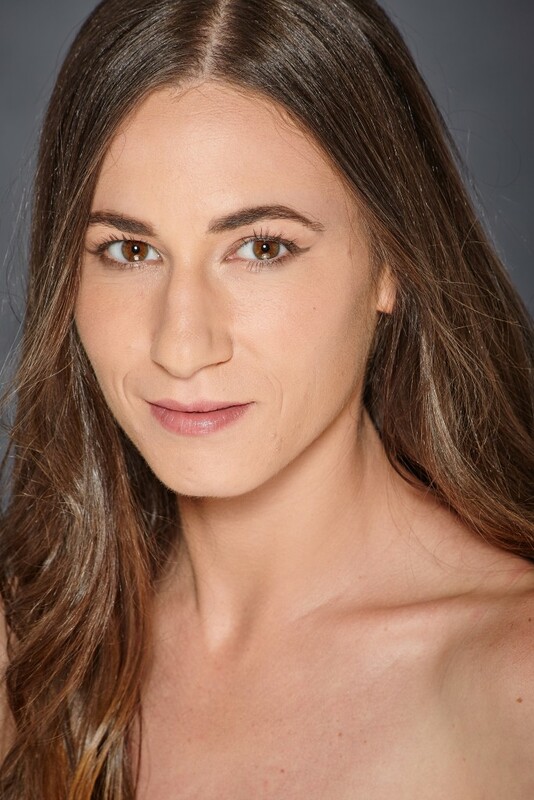 Next month, audiences will have the opportunity to see SLEE’s ‘In C’ incorporated live in a new dance work by Daniel Charon as part of the Ririe-Woodbury Dance Company’s spring season. 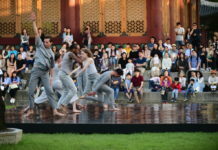 SLEE has performed at the Utah Arts Festival, the University of Utah, Brigham Young University, IUPUI, the City Library’s Music at The Main Series and the Salt Lake Arts Council’s Brown Bag Concert Series. Prior to earning his master’s at IUPUI, Starling completed his bachelor of music from The University of Utah. 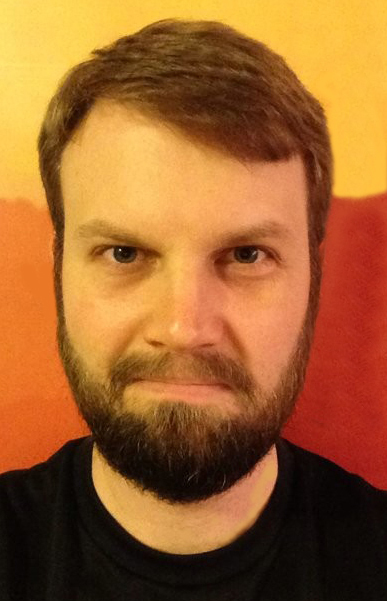 In addition to being a composer, he works as a music journalist, music educator and audio engineer. This summer, he will be releasing a new ambient music work. Physical copies of ‘Dorian Reeds (for Brass)’ will be available on Amazon, CD Baby, and Starling’s Bandcamp site. Digital copies will be available in all of the major marketplaces, including iTunes. While the MP3 version affords a respectable quality, it is strongly recommended to try out the CD quality or the format with the audiophile quality offering high resolution stereo audio.